When I think of writing and painting, I am reminded of the above quote. The same feelings are evoked by facing the blank screen at the laptop or staring at an untouched canvas or pristine sheet of art paper. I tell myself it’s okay not to know everything. I must trust the process and jump in. I have nothing to lose. Whether I have a theme, an idea, a detailed outline, or an available model for painting, the creative process produces the same fascination, exhilaration, and anxiety-producing emotions. I know my days will be filled with ups and downs, questions and discoveries, and twists and turns. I’ll experience plenty of aha moments, self-doubt, debilitating fear, and I will hang on with hope that even if I don’t know exactly where I’m headed, or if I get lost along the path, I’m embraced by the gods of creativity. I’m cheered on by anyone who has had the nerve and courage to pursue a creative project and life, even if only once. In my opinion, getting lost is the most interesting, fun part of the creative process, which allows for discovery, if I let go of the end result and if I trust the journey. Is this a place where I should exercise control or release control? Should I slow down, stop, or rush through here? Is it best to skim the surface or go deep at this time? Can I sit with this mystery or question? How long? Am I heading toward caving in prematurely because it’s easier? Is it wise to prolong this journey, or is it best to end where I’m at? Will this decision or direction hinder or help the story or painting? How do I feel right about now? Do I need a break? Am I open and paying attention? I encourage you to embrace the entire creative process, the good with the bad, the roadblocks and detours, whether you’re writing or painting. Not embracing the process might end up with producing a shallow, trite, staged, and not fully believable story or painting. The fact that you rushed through will show. Do we really want a neat, tidy experience for our readers and viewers? Is the quick, easy route from A to Z the best course of action? A viewing experience that allows for thought and discussion, discourse and personal growth is what I’m after; for myself and my audience. I lean toward the untidy, raw, transformative experience every time in story telling because that’s more like real life. Of course, I’ve always done things the hard way, but life is more exciting and rewarding when we trust that we’re headed is for our highest good. We should want that for our characters, as well. Trusting ourselves and the process have the potential of positively affecting our creative lives and to me, that is a win-win situation. A special thank you to Beth Raps and Raising Clarity for the kind invitation to share my journey. OK, beloved readers, I have a treat for you: a true inspirational story that just happened to someone we know! This interview was conducted with our soul-colleague Eleanor Parker Sapia about the life of her first book, A Decent Woman. Eleanor is an author and then some. She embodies “what goes around comes around”; she consistently highlights other writers’ work in her blog, The Writing Life. She is into her heritage and (as each of us is when we embrace who we are fully) universal. Her bio follows at the end of her interview for us on a recent challenge and her amazing turnaround. Blessings to you who read this and may they flow on Ellie for sharing hers with us! Late last month, my family and friends joined me in celebrating a new publisher for my debut historical novel, A Decent Woman, after my first publisher unceremoniously announced they were closing their doors. My kids asked, “Mom, how did you find a new publisher so quickly?” Well, it didn’t happen quickly, and I had one month to turn an awful experience into a happy ending. I had no idea how in the world I would make that happen, but I couldn’t give up on my book. I’m of the mindset that we attract people, places, and situations by what we think and believe. What we perceive as negative can often be for our highest good, with lessons usually not far behind, if we care to investigate and learn from the negative experiences. Those beliefs would soon be tested. I won’t lie; mind-numbing, stunned disbelief overshadowed a fun weekend with my best friend when I received Booktrope’s fateful email on April 29, 2016. By Monday, I was spitting mad. Another dream come true had dissolved. Did I have the energy to gather my wits, listen to my gut, and act without fear while my stomach was in knots? Did I have a clue what to do next? “No” to both questions. Months before learning about Booktrope’s closing, I revamped my query letter. I don’t know why, but I was thankful I had listened to my gut. By the following Wednesday, I’d sent out two query letters to small publishers, even before the full details of Booktrope’s pending demise became available, which as it turns out, didn’t reach us for a week. I’m sure you can appreciate the stress induced by an uncertain future of an already-published book, a bestseller. Add to that the stress of not only having my book yanked off Amazon on May 31, 2016, but the potential of losing 74 wonderful book reviews in a month’s time. If I did nothing, by June 1, 2016, it would look like my book had never existed. Well, the weekend was brutal for all Booktrope authors, their families and friends, for creative team members, and for Booktrope staff members, who despite losing their jobs, tried to answer our many, many burning questions. It was a tough situation all around. I did make a few early decisions which served me well. I decided the reasons Booktrope was folding weren’t helpful to know; it just hadn’t work out. The publishing model, while interesting, unique, and hopeful, had failed. I don’t enjoy or see the merit of going around and around in circles with the “why” something has happened…okay, except for dating the wrong man…in the past, which has caused me to go around and around, trying to figure out what went wrong. Right or wrong, these days, I prefer asking “why?” once and moving on. The second decision was not to get involved in the myriad heated discussions on social media, and not joining in when the name-calling, bashing, and the legal threats started on Facebook. Now, don’t get me wrong, at times I felt unreasonable and childish, and wanted to give certain people a little piece of my mind, but I knew that wouldn’t have been helpful or useful for me. Instead, I followed only useful, positive Facebook threads started by Booktrope authors and creative team members, who offered helpful information about moving forward and finding new homes for our books. It was very tempting to sit on my river porch with a wine bottle, tearfully watching the boats sail by. I thought of going on vacation, burying my head, doing anything, anything, but restarting the tedious query process. I knew if I sat passively on the sidelines, I would hurt myself, my book, and my writing career, but it was tough to move. Some situations require action and others require gathering information, thinking, and sorting things out before moving forward. But I, we, 639 authors, didn’t have the luxury of time…correction, Booktrope hadn’t given us much time. We had one month to sort ourselves out, get over the pity party, and find new publishers for our books or self-publish. Sink or swim time. I had to preserve my sanity AND save my book that had taken me years to write and see published. So, as much as it pained me to step away from the great momentum I’d reached with my current work in progress, I set it aside. Regaining my footing was crucial as the initial shock wore off, before my emotions careened out of control due to paralyzing fear, self-doubt, and a loss of self-confidence. Worrying was fruitless. Being proactive helped me regain my balance and composure, and believe me, Booktrope’s announced closing ranked right up there with the time I dropped my only laptop on a concrete sidewalk. The hard drive had shattered and I’d lost most of my documents and all of my photographs. I began querying publishers before something worse happened. Interestingly enough, starting the odious query process gave me the time and breathing room I needed. Baby steps made me feel more in control of my life, and reading the weekly emails from Booktrope, turned out to be far more appetizing and easier to digest than one huge info dump. While waiting for replies from publishers, I learned what I could about self-publishing from generous fellow writers, editors, and cover designers, who’d either helped put together a self-published book or had self-published themselves. I contacted a few trusted author friends, who like me, had never self-published, and a few who’d self-published several successful books. My friends replied with gracious information and assistance, if I decided to go that route, and most importantly, they offered the emotional support and friendship I desperately needed. I also reached out to a few Booktrope authors who I knew were struggling, hoping to be helpful and supportive. I am very grateful to all of them. To keep myself clear and balanced while I waited to hear back from publishers, I practiced self-care. I didn’t isolate, but I sure thought about how my foundation had crumbled under my feet…again. I’d survived a financially devastating divorce after 25 years of marriage; I’d left my dream home in the south of France to move back to the US with my kids; and I’d survived on very little money as a single, working Mom of two college-aged kids. I’d graduated from massage therapy school at age 50 (trust me, it’s a pre-med course), and had reentered the dating game at age 50, which wasn’t easy! I’d bought a house in West Virginia, where I didn’t know a soul, and I decided to write full-time, which meant many, many sacrifices. Yes, it all worked out, thank God; much better than I’d ever dreamed possible, but it was tough going for a few years. How was I back to reinventing myself? Why? I’d turned struggles and challenges into goals met in the past. I could do it again. Life was good, I’d tell myself in the morning, only to feel overwhelmed again by the afternoon. I continued writing out my blessings until I felt better. It became a mental game—a combination of being my own cheerleader and “fake it until you make it.” But Ego kept a good grip by reminding me of all I’d given up for writing, and then whispering, “It’s not worth it, Ellie. 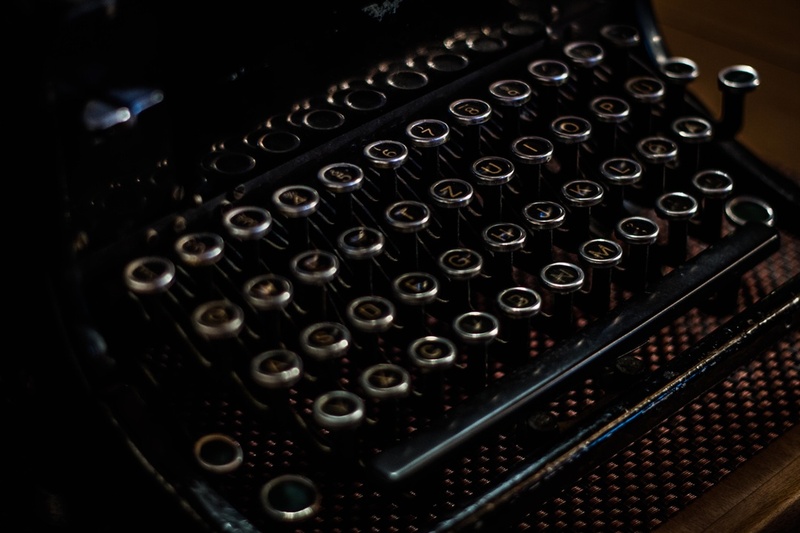 Too hard, too hard.” Yes, there were many sacrifices to living the writing life. I’d accepted the solitary life of a writer with its myriad publishing woes because I love to write. I didn’t have much of a social life and wasn’t traveling as much as I like, but I was happy. My kids were happily thriving; my health was much improved, and then BAM. I found myself on my knees, yet again, at 58 years of age. The negativity reentered. Whatever happened to enjoying my golden years in peace and tranquility? Wasn’t it my turn to breathe free and easy for a while, after years of strife and heartache? Well, I spent the first week in April licking my wounds, enjoying daily naps and lots of movies. I gardened, read, and followed the Booktrope story on social media, which wasn’t looking pretty. We were now called the Booktrope survivors and had a hashtag, which felt like a label. I used it once and disregarded it, but it was true—we were publishing orphans in a tough publishing world. We were frightened, angry, and lost, but I knew we’d survive. My fears were temporarily assuaged by joining a Facebook support group page started by Booktrope authors. The members offered answers, hope, support, and information. I kept my hopes up, but it seemed the more I knew about the publishing world, the worse I felt. I started to feel unbalanced and a bit out of sorts again. How in the world would I find a new publishing home for my bestselling novel by May 31, 2016, Booktrope’s final day? Enough already! To keep my sanity and clarity, I continued my regimen of self-care in the forms of prayer, meditation, and practicing Usui Reiki on myself. I gathered the ancestral, spiritual arsenal available to me and went quiet. I protected myself and blocked out the confusing, outside world of too much information coming at me from too many directions. I was still. I listened. I prayed. I waited. I walked and listened. I protected myself. I rewrote my list of blessings and meditated on them, remembering how blessed I truly was despite the new bump in the road. I practiced gratitude and reconnected with family and friends. I gardened to my heart’s content and reconnected with friends on social media. I lit candles and recited prayers of protection and for guidance. I prayed the right people would enter my life. Two weeks after the publishing fiasco, I emerged stronger, more in balance, and open to receive. I was clear enough to sift through and recognize good, useful publishing information and advice. I was ready to receive the blessings I knew were coming, and when I felt fear nudge me, I physically swept it away from my mind, body, and soul with Reiki. And then new blessings came to my life. Synchronicity and serendipitous events happened left and right. I was ready to act. I’d managed to see my book, A Decent Woman in print once; and I would do it again. Well it turned out, unbeknownst to me that the fabulous editor of my book, Ally Bishop, had started a small publishing press called Scarlet River Press, which is now an imprint under Sixth Street River Press. When I told Ally I planned to self-publish my book, she sent me an email and an open door. A week later, I signed a publishing contract with Sixth Street River Press. Two weeks later, A Decent Woman was selected as a Finalist for Best Historical Fiction, English, in the 2016 International Latino Book Awards with Latino Literacy Now. In one month’s time, my book, which had been in danger of turning into a ghostly relic of the past, became an award-winning book. I can’t honestly tell you how that happened, but I can say I was open to receive and I didn’t give up on my dream. I also entered the competition in February 2016. We do have to act! Each of us is on a personal journey, where some paths are straight and narrow, others are wide and curving. Up the mountain and low in the valley we go; it’s life. Sometimes we hike up, reach the goal, and sit on the plateau for a good long time. Other times, it seems there is no rest in sight, but the momentum is good, so we keep putting one tentative foot in front of the other. I believe it is necessary and useful to reinvent ourselves several times in one lifetime. While I didn’t plan on reinvention, I’ve done just that several times since 2006. Last month, while awful, wasn’t life-threatening, although it sure felt like it. I have faith and hope that all will go well. Award winning Puerto Rican-born novelist Eleanor Parker Sapia was raised in the United States, Puerto Rico, and Europe. Eleanor’s career paths as an artist, counselor, alternative health practitioner, Spanish language family support worker and refugee case worker, continue to inspire her stories. 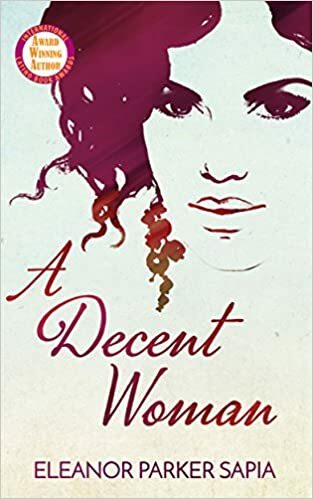 Eleanor’s award winning novel, A Decent Woman, set in turn-of-the-nineteenth century Puerto Rico, is published by Scarlet River Press. The book is a finalist for Best Historical Fiction, English, in the 2016 International Latino Book Awards with Latino Literacy Now! Eleanor is featured in the award winning anthology, Latina Authors and Their Musesedited by Mayra Calvani. Eleanor is a proud member of Las Comadres Para Las Americas, PEN America, The National Association of Professional Women, and the Historical Novel Society. She is a contributing writer at Organic Coffee, Haphazardly Literary Society. When not writing, Eleanor loves facilitating creativity groups, reading, gardening, and tells herself she is making plans to walk El Camino de Santiago de Compostela a second time. Eleanor adores her two adult children and currently lives in West Virginia, where she is writing her second novel, The Laments of Sister Maria Inmaculada, and the sequel to A Decent Woman. Find her on Twitter @eleanorparkerwv and on Facebook at http://www.facebook.com/eleanorparkersapia . More information about her, her work and the blogs she writes for are athttp://www.elliesbookz.wordpress.com. PS: I asked Ellie about the image on the cover of the book. It’s of a wooden, hand-painted statue of Our Lady of Montserrat, which Eleanor purchased while volunteering at the Catholic shrine of Lourdes, in France. The statue is made by Artisanats des Monasteres de Bethleem de l’Assomption de la Vierge et de Saint Bruno and Heather Parker, Eleanor’s daughter, is the photographer.